If you want to know what’s on the menu at Chez Nous, go straight to Instragram. You’ll find their daily rotating menu on stunning display - white plate after white plate, topped with dishes like chitarra carbonara, frisee salad, roasted whole fish and so much more. Some are inside blue Le Creuset casserole dishes. Each is drool-worthy. It’s rare to see a single dish repeat. Chez Nous the kind of place someone has to tell you about for you to find. And those who are tipped off often dub it one of the best restaurants in Charleston, South Carolina’s famed culinary town. The restaurant is located inside a Charleston Single Home, in an alley in the Elliotborough neighborhood. 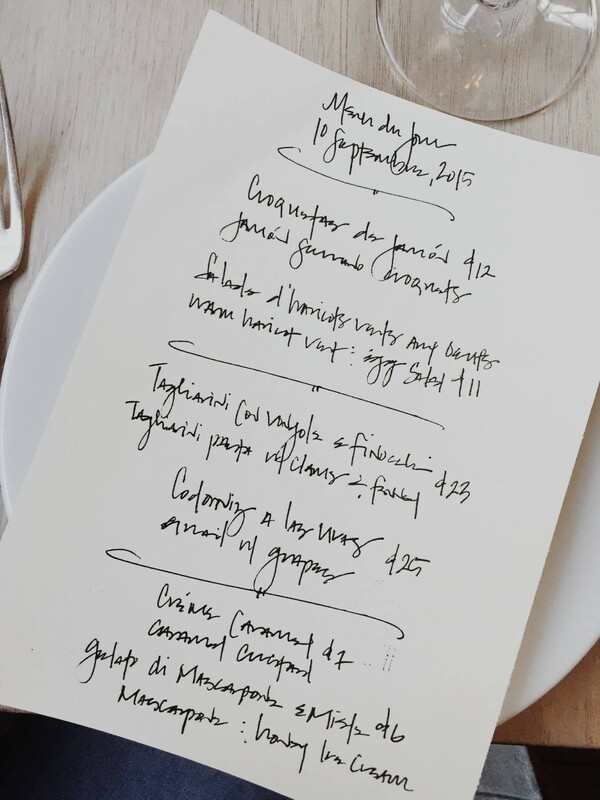 You can’t see it from the street, but inside you’ll find Best Chef Jill Mathias cranking out traditional fare from southern France, northern Italy, and northern Spain, for people who savor culture, conviviality, for people who live to eat. Chez Nous is open for lunch and dinner. The menu is the same for each meal, and always presented in the same formula. There are six items: two options for appetizers, two entrees, and two desserts. The dishes are classic European recipes you likely haven’t heard of before. There are no alterations allowed. You must to throw your hands up and surrender to the skills of Mathias and the other chefs at the helm. It’s 9 a.m. and béchamel croquettes with serrano ham are being made. Jill and her husband, sous chef Juan Cassalett, arrived at 7 a.m., as they do most mornings to prep for lunch. Someone will be making croquettes all day. Tomorrow, it could be crepes. No matter the tedium of the day’s task, tomorrow will be different. Every day there is change. Chez Nous is a three-cook kitchen, where every ingredient is in reach. Natural light floods through windows that overlook the courtyard. Jill can open them to talk to people and catch a glimpse of the outside world. The restaurant calls itself pint-sized. There are 36 seats inside, 56 total when you count the long communal table in the courtyard and the romantic two-top on the small porch. “It’s everything I wanted in a restaurant,” she says. “This place has exceeded our expectations,” says Juan. Fanny and Patrick Panella are two of the owners of Chez Nous, alongside Jill and Juan. Fanny is from Nice, France and wanted to create a space where people could taste the food she grew up eating. Before opening the concept, they worked alongside Juan and Jill to perfect over 1,200 recipes to potentially serve at the restaurant. Now they have many more. Alongside the croquettes, on today’s menu is Fanny’s family recipe for haricot verts salad with scallion and hardboiled egg. Juan is about to make the pasta - a tagliarini that will be topped with clams and fennel and finished with breadcrumbs. Roasted grapes sit in a sixth pan on the cold line. When service starts, Alex Stone, the third cook, says they’ll get revived with butter and stock in a hot pan, and then used to garnish roasted quail with king trumpet and beech mushrooms and a turnip puree. A quote by Fulvio Pierangeline, the reclusive Italian chef behind Gabero Rosso, hangs on the kitchen wall. Don’t underestimate the skill that’s required to make a symphony out of simple food. Chez Nous applies this advice to every area of the restaurant. 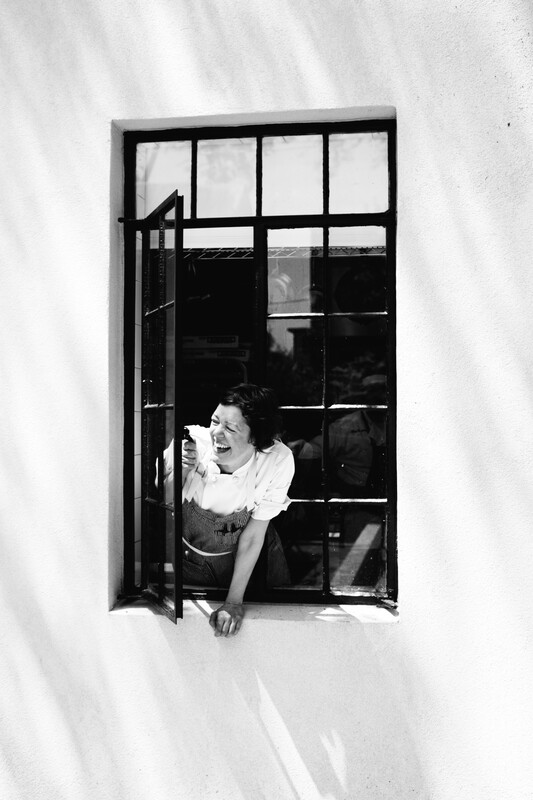 There is laughter in the kitchen. The cooks make up songs about the “bow tie kitty” - the neighbor's cat that visits them each day. Jill draws cartoons. Juan teaches people Spanish. You’ll either love Jill’s handwriting or stare at it, bewildered. It’s no problem if you find the menu illegible. You can read it on one the tarnished mirrors that hang in the dining rooms. A waitress in a navy blue and white striped shirt can tell you every detail of every dish. And you can always surf on social media. When the Panella’s bought the 1835 house that is now Chez Nous, they expanded the kitchen and turned the rest of the building into a two-story dining room. The shell is the same. Inside the old, dark wood has been restored. The brick fireplaces remain. Wine glasses and plates are stored in antique armoires coated with distressed blue paint. As the sun sets, candlelight takes over, along with dimmed overhead track lights. Chez Nous a very romantic destination where you are encouraged to dwell. The wine program is run by Patrick, who stocks the reserves with Italian, French, and Spanish wines to pair with the regions of each dish. When it comes to the food (if you aren’t dining solo), I suggest you order everything on the menu. Just order it all. The courses will come out one by one. Servers bring new silverware with each dish. 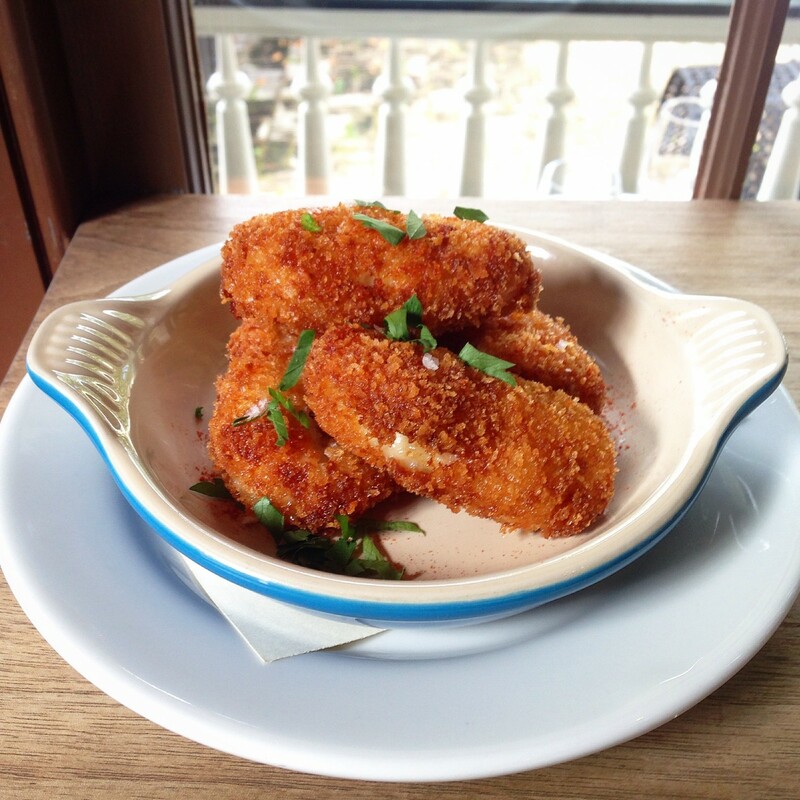 And here they are, the croquettes, fried to a crispy golden brown, oozing with white sauce, spiced with a touch of cayenne. 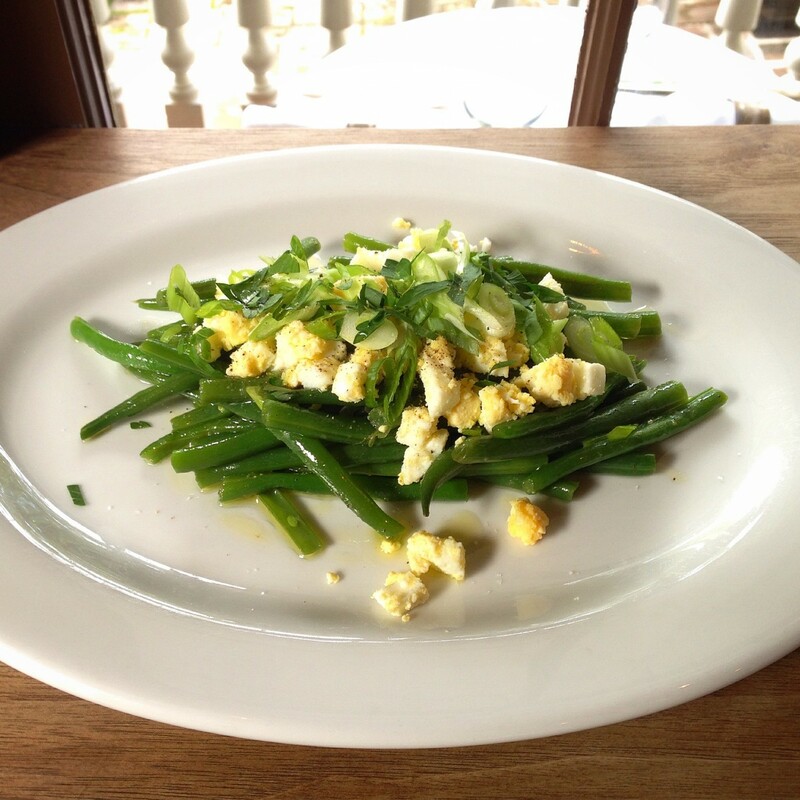 The haricot verts are cooked soft, served warm, tossed in a red wine vinaigrette and topped with chopped hardboiled egg. 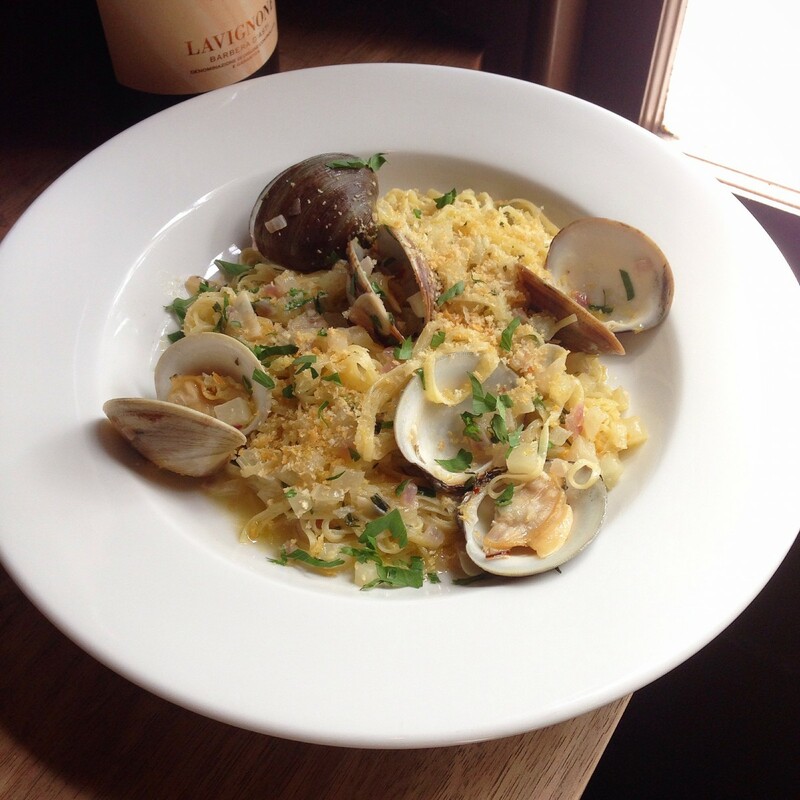 Then come the tagliarini with clam and fennel and the roasted quail. 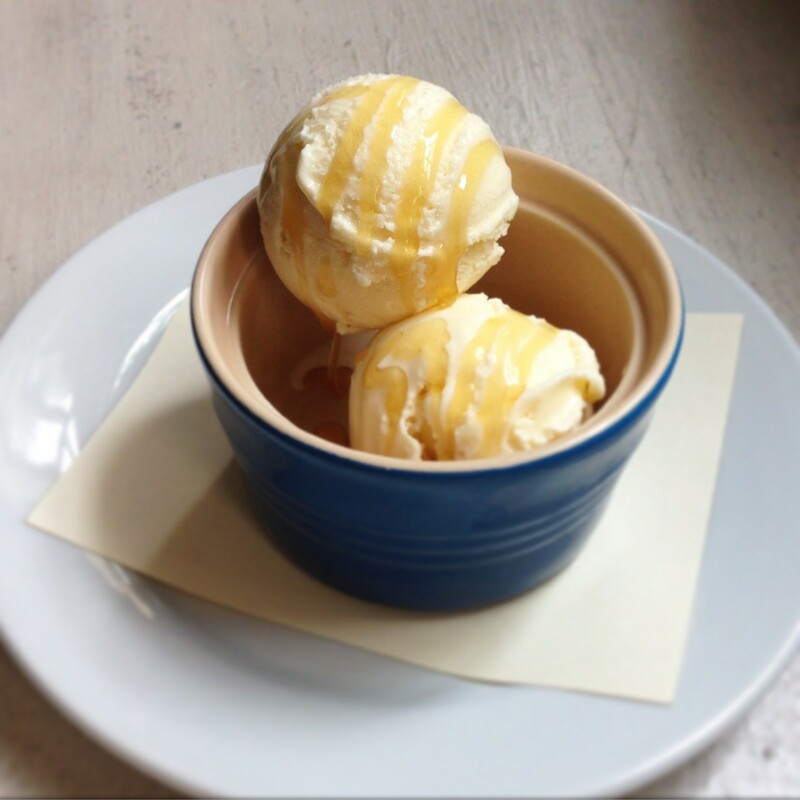 Tonight’s desserts are caramel custard and homemade marscapone ice cream with honey. All the food is rich in substance, light in flavor, mindfully executed, designed to accompany one another. 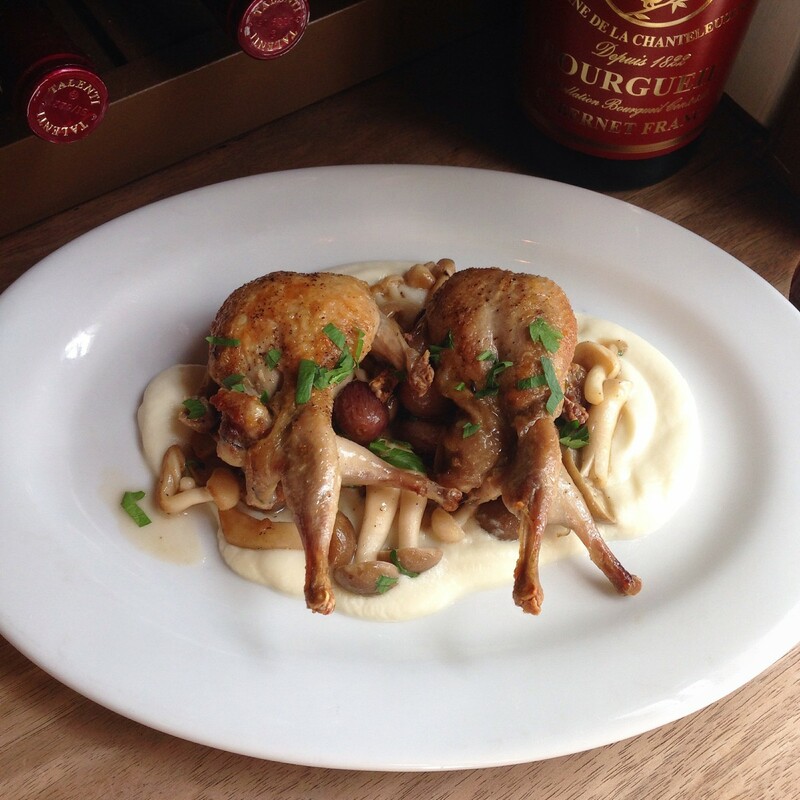 Chez Nous is part of a trend of restaurants applying a laser focus to their niche. They provide an exception to the notion that Charleston - although a beloved foodie mecca - is perhaps not a place where you can find unadulterated European fare. Chez Nous can do this because they do not deviate from their baseline philosophy, which is to always stay true to tradition. And the dishes they create to expand palates come in the thousands.